The Start & Finish line is located at 33 Peadbody Street, Nashville 37210. 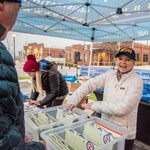 There are multiple locations you are able to park for the race including parking structures, flat lots, and street parking. 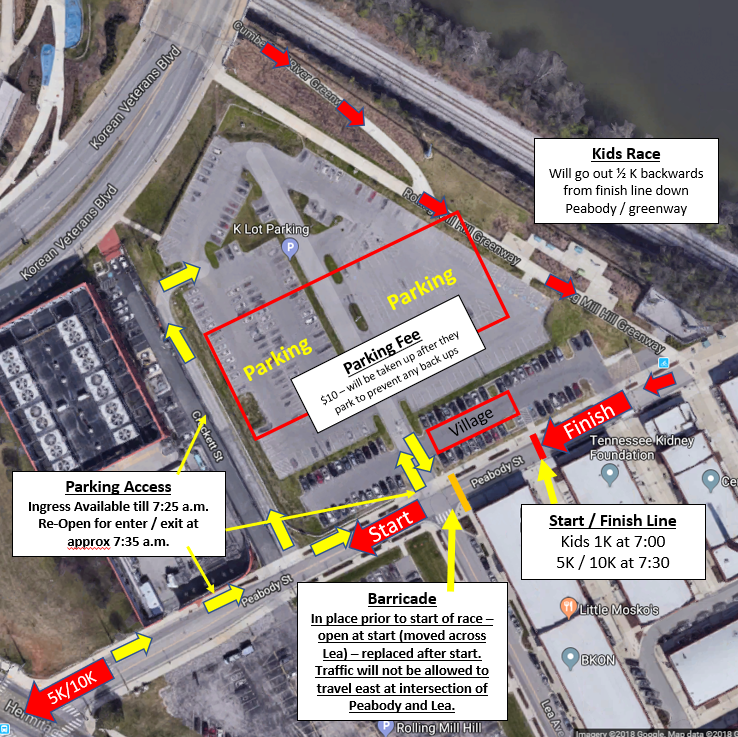 Some of the areas shown may be blocked off due to the course route, so we suggest arriving between 6:00 and 6:30am depending on which race you are participating in. Prices and lot types vary. We suggest you visit: http://www.parkitdowntown.com/maps/interactive-map to help determine where you would like to park.